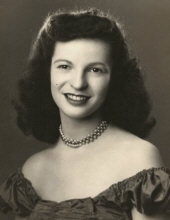 Juanita H. Havlick, nee Felker, age 93, passed away on February 8, 2019. Juanita was the beloved wife of Kenneth S. for 71 wonderful years; loving mother of Deborah (Bob) Frawley, Dawn (Dan Doyle) Williams and Adrianne Hankey; cherished grandmother of Patrick O'Keefe, Erin (Phil) Kuchinsky, Jenny (Chris Aitken) Needham, Adam Frawley, Brandon and Trevor Malinowski; great grandmother of Calista and Chastity Needham, Kadence Cluck and Francis Kuchinsky. Juanita was a dear sister to 6 siblings, and 2 of her brothers and 2 sisters preceded her in death. She was a fond aunt of many. Visitation will be Saturday February 16th from 9:30 a.m. until the time of an 11:30 a.m. funeral service at Cumberland Chapels 8300 W. Lawrence Ave., Norridge, IL. Interment will follow at Elmwood Cemetery. Info 708-456-8300. To send flowers or a remembrance gift to the family of Juanita H. Havlick, please visit our Tribute Store. "Email Address" would like to share the life celebration of Juanita H. Havlick. Click on the "link" to go to share a favorite memory or leave a condolence message for the family.